This is my year-end wrap-up of the books I read in 2018. Well, it’s not all the books I’ve read, just some of the best ones (most of these were not released this past year). I read a lot more books by Indie authors, which meant a lot more eBooks. There’s definitely a trend — the eBooks I read are using by Indie authors, while the traditionally published books are usually print. I also read a lot of first in series this year, both Indie and traditional. Which means I have a lot of second in series to read next year. In the list, I=Indie, E=eBook, T=traditionally published, P=print, NF=non-fiction. Why do I give this info? Well, the first few eBooks I read, I didn’t like, and I didn’t know if it was the format that put me off or that the stories weren’t great…I think I can say conclusively that it was the stories since I’ve read some great eBooks recently. Magic-Price (I-E): I loved this first in series by C. L. Schneider. It was very gritty with complex characters, and had a white water rafting ride of a plot. Check out my review. Stiff (T-P-NF): Another great book by Mary Roach. I love her humourous but frank delving into everyday topics. I’ve also read Packing For Mars and Bonk, both of which I highly enjoyed. When I can learn and laugh out loud, that’s a great non-fiction book. Glitch (I-E): I haven’t reviewed this first book in the Glitch series by Ramona Finn yet. But I found it innovative and engaging. The world building was unique and left me feeling like I was there. 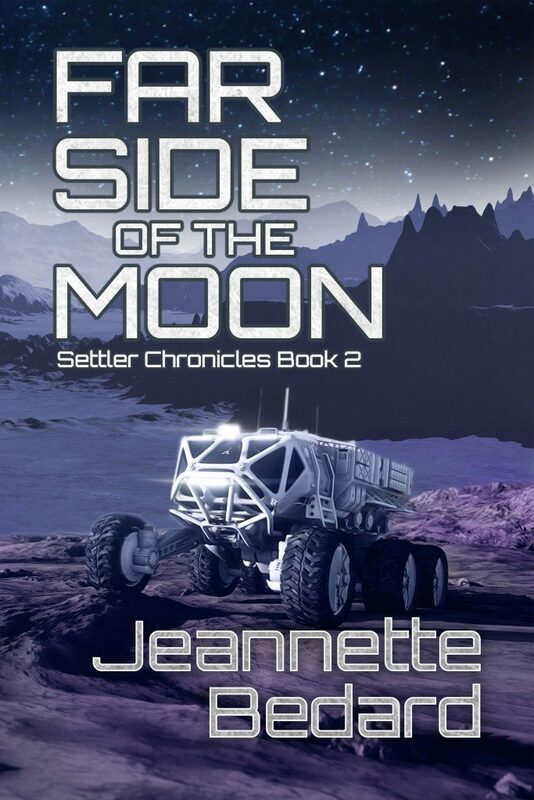 Far Side of The Moon (I-E): This is the second book in the Settler Chronicles series by Jeannette Bedard. If you like sci-fi, terraforming thrillers, check out the series. This one carries on where the first one left off, and takes you on wild ride full of borrowed bodies, dueling AIs and evil corporations. A Big Ship at the Edge of the Universe (T-P): Loved the characters, loved the action and loved the world building. I really liked the mixture of space and magic in this book by Alex White. A Darker Shade of Magic (T-P): Wow. All I can say is wow about this book by V.E. Schwab. The dropping of gems throughout the story, that are deftly picked up later on, and the interweaving of plot lines left me stunned. I only hope A Gathering of Shadows lives up to the promise of book 1. A Temptation of Dragons (I-E): Laugh out loud funny. Dragons and vampires and snail sharks, oh my! This tale by Chrys Cymri got its talons into me from page 1. Maybe it’s because I’m a PK, but I loved that the main character is a reverend in the Church of England who loves sci fi and fantasy and finds herself embroiled in a world few know exists. I’m looking forward to reading the next one. You can check out my full review here. A Closed and Common Orbit (T-P): I really enjoyed A Long Way to a Small Angry Planet (this one has a review by me) which led me to pick up A Closed and Common Orbit. Although this book isn’t really a sequel, it’s set in the same world, and the world-building here was just right — not too much, not too little. I like this one almost as much as the first one. Linesman (T-E): This book is actually written by a pair of sisters writing under the pseudonym S.K. Dunstall. Similar to A Small Ship…, I liked the semi-magical elements in space. I think might need to write some space fantasy 🙂 If you’re interested in more info, you can check out my review. The Rose Thief (I-E): If you’re a Terry Prachett fan, you might want to check out The Rose Thief by Claire Buss (which I reviewed here). This book has a similar sense of humour and humanity. I wish she’d write more in the series. Though I understand the challenge when there are some many ideas waiting to be written. 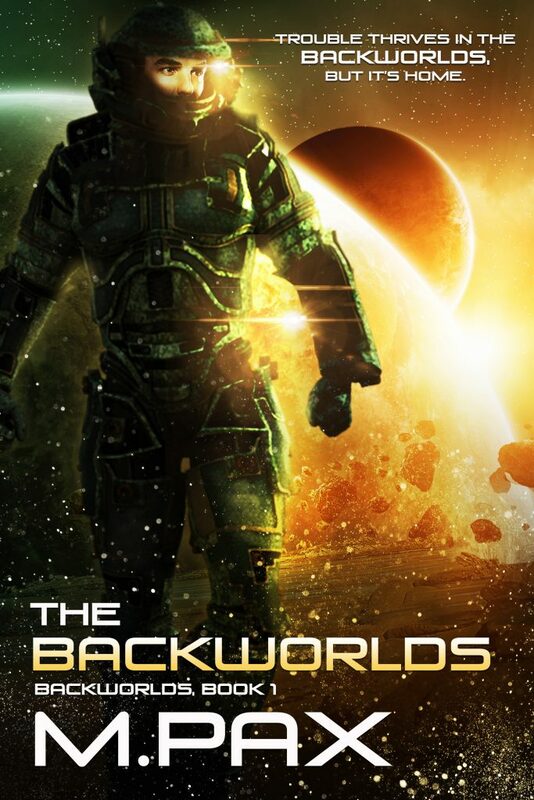 The Backworlds (I-E): I enjoyed this story by M. Pax, but I loved the aviarmen characters. If you’ve read it, you know who I mean. If you haven’t, you can check out my review or just go buy it! That’s it. There were many more books read this year, but I wanted to highlight a few that I really enjoyed. There’s a few sequels to books above that are on the 2019 reading list: A Gathering of Shadows, Magic Scars, The Vengeance of Snails, Stopover at the Backworlds’ Edge. I also have a slew of new books to read: Nite Fire, City of Brass, Norse Mythology, Break the Chains…okay I can’t list everything on my physical and virtual bookshelves. Keep an eye out for more reviews in 2019. In the next few days, I’ll put up a post on what’s ahead writing-wise in 2019.